I work with Tracy Ferguson. 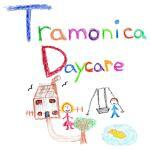 We are registered to provide 2 year old Early Education Places. We aim to provide a wide range of interactive, fun and challenging activities. We believe this enables children of all backgrounds and abilities to develop and learn through play in a caring, supportive and happy environment. We have a safe, clean and smoke free home. There is a large enclosed garden full of equipment and toys, which is always open to the children. We promote healthy eating and encourage the children to eat their "5 a day" by providing fruit and vegetables for snacks. We take the children out regularly to different places including the library, local museums, parks, children's centres and plenty of walks. Will collect and drop off from school and nursery. We are registered to provide 2 year old Early Education Places. Will accept childcare vouchers.